Are you an entrepreneur who has just started a business or a startup based on a million-dollar idea? Do you want to take your business online and utilize the power of the all-powerful internet? Do you want to know how to run your business through social media where you can directly connect with your target audience? If you answered positively to all the questions, then you have come to the right place. 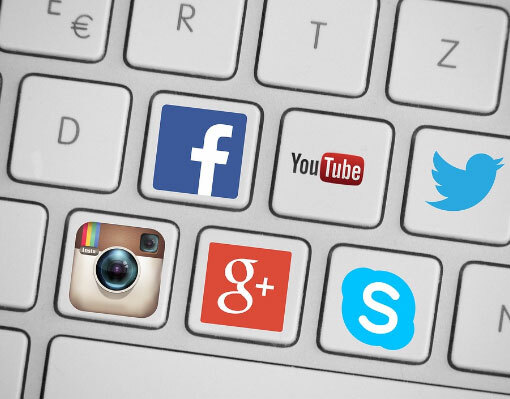 Here’s a brief introductory guide to help you get started on social media. According to We Are Social, more than 1.65 billion social profiles were active globally towards the end of 2015, with new users signing up at the rate of a million per day. The impact that social presence can have on a brand is tremendous, and every business owner must consider social media sites as a part of their strategy. Why Social Media as a First Step? As stated above, social media is pleasingly cost-effective and provides you with a reservoir of consumers to market your products and services to. Being on social media can even save you from the shame and disadvantage of not having a website. Running a B2C company can become easier if you have social profiles where you can market directly to your target audience and engage with them, which makes it an all-in-one package. However, it does not mean that those B2B companies cannot leverage social media; they must follow a different strategy. How to Leverage Social Media to Run Your Business? The first challenge will be to define your specific audience. What age groups are you targeting, where are they coming from, what are their geo-locations, what are their social media/internet habits, how do they log in, what devices do they use, and finally, are your products and services relevant to them – answers to these questions will give you your target demographic on which you can plan your next step. If you have already started your business, your target audience must already be set. Now, this is a crucial step, because as a business you want to be everywhere. For example, it makes more sense for an apparels company to have a presence on image-based networking sites like Instagram and Pinterest than on social sites like Reddit and LinkedIn. Of course, Facebook and Twitter can also be considered, but the focus should be on the aforementioned platforms. You should ideally choose your platforms based on your target audience. Are you targeting millennials? Shoot for Snapchat and Instagram where there are more millennials! Look at industry stats and those released by the websites to understand more about your target audience. Experts suggest that one should create their company’s social media profiles early, even before they have started planning a strategy for online marketing. This not only ages your accounts but also gives you enough time to attract and connect with more users. Share news and op-ed articles about latest trends in your industry, reports and research data, and images that your users can share. Once your profiles are ready, you should not restrict yourself to sharing content. Social media is all about engagement, and the initial period is the right time to do it. A lot of people recommend brands that they detect the social media influencers of their industry and engage with them too. Like, comment, and share their posts and build connections with them. The wider the presence, the better your social media quotient. Once you have a decent number of followers or likes, you can then direct the users to your website. Here, it is absolutely important that you coordinate all your social channels with each other and with your website. Having social buttons (which users can click on) on your website can be really helpful. This is where “running your business” comes in. Once you have a good number of followers, you can create a social media plan for your business. This can be timelines of content shares and customer engagement. Social media marketing should be a gradual process, meaning you should not post all your content in a single day. Plan it out according to hours, days, and weeks. Check out the timings when your users are most active, do a bit of research about your target audience and their social media habits, and then plan your strategy. Social media sites like Instagram and Facebook have become so advanced that businesses can now turn them into online stores. Post photos and info on your products and guide your users to your website or a Shopify page. If the price is right and if the users love your products, they WILL buy it. Although optional, bringing in someone who knows his way around social media can really help. As an entrepreneur, you are going to have to work on more important tasks at an operational level, once your business starts moving. So, hiring a social media manager can save you the time. If you are somehow unable to attract users through your posts and images, it is time to step up the game. Although it involves money, the return on investment is usually justified. As per a Forbes report published in September 2016, more than 10% of the total business pages on Facebook spend a part of their marketing money on ads – which have given their businesses a considerable impact. Running ads helps you directly target your users and market your products/services. The way it works is surprisingly intelligent: supposed you are a company that sells customized fidget spinners based on superheroes. As a brand, while running an ad, you can target it to all those people who have shown interest in both fidget spinners and superheroes. And if your ad is captivating enough, interested users will click on it and visit your website. The advertising models of social media companies are mind-bogglingly effective, and as a brand, you should exploit it. There’s no easier way than this to attract users. Social media is an extensive field and one cannot hope to learn all the tricks in a single day through a single article. But, we hope that this short guide has given you a fair idea about its power and how you can kickstart your business by creating accounts on various social media platforms. The key is to tread slowly and broaden your approach as you move ahead. Follow the steps as mentioned above and see how your business enjoys engagement like never before. The online world is very volatile at the moment, though it is never too late to be on social media.